Skysuites @ Meldrum Hills located next to Cyberport and close to the JB CIQ is nearing completion. Skysuites @ Meldrum Hills (completed on the left of the photo). Photo taken from Cyberport by John Hunter. 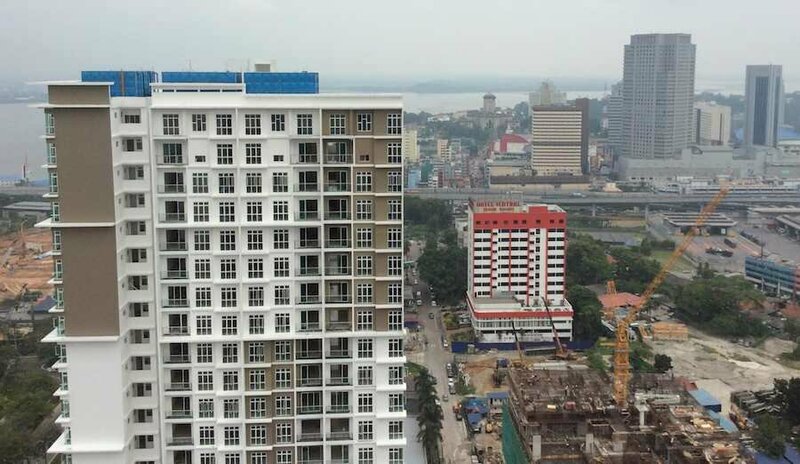 The 31-story condo building includes 250 condos (1, 2 and 3 bedroom units plus penthouse duplexs) and is near Blue Wave Hotel, Cyberport, City Square Mall, CIQ and the causeway. See our information page on Skysuites Condos @ Meldrum Hills. Skysuites @ Meldrum Hills with CIQ and the CBD. 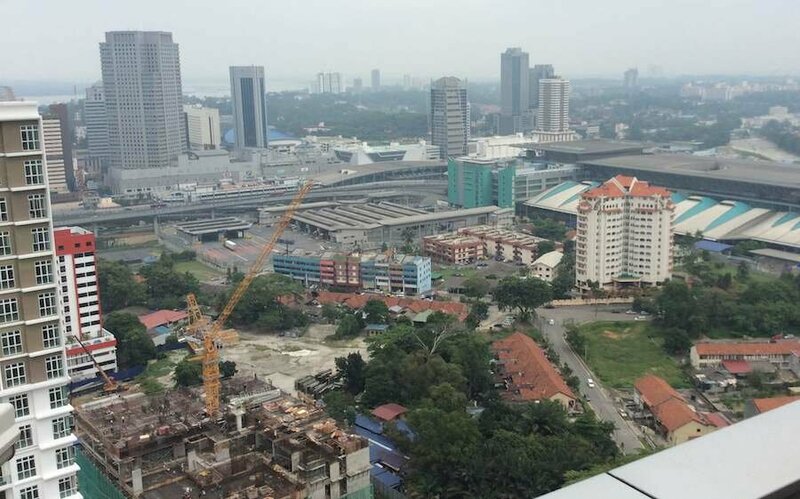 RM 1,105,000, 1,105 square feet, 4 bedrooms, 4 bathrooms, Penthouse condo. RM 552,000, 581 square feet, 1 bedroom, 1 bathroom. RM 698,000, 581 square feet, 1 bedroom, 1 bathroom.